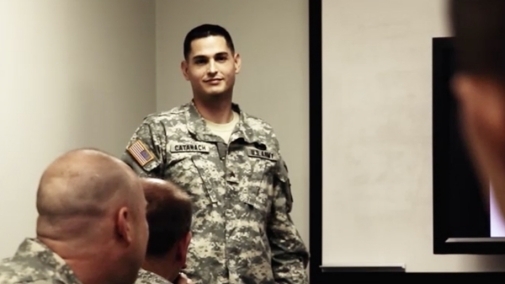 "Soldiers describe the Army Reserve ..."
"Watch SGT Robert Catanach tell his ..."
You may be asking yourself, “What is the Army Reserve?” The Army is the most powerful and sophisticated military force in the world. This force consists of two groups: active duty Soldiers and Soldiers in the Army Reserve. When active duty Soldiers deploy overseas, Army Reserve Soldiers often fill their positions at home, serving as drill sergeants, instructors and security personnel. In the event of national disasters such as hurricanes or flooding, Army Reserve Soldiers are on the scene to support humanitarian and relief operations. Soldiers in the Army Reserve use their civilian and military training to safeguard the nation’s data and develop secure communications technologies. They also maintain, process and troubleshoot military information systems. The Army Reserve responds to chemical and biological threats, and provides biohazard training to federal agencies. Army Reserve Soldiers play a crucial role in the maintenance and supervision of nuclear, biological and chemical detection, and decontamination equipment. Soldiers in the Army Reserve operate the transportation and supply systems that keep the Army in motion, supplying troops around the world with everything from Stryker vehicles to mail from home. During times of both war and peace, Soldiers in the Army Reserve help countries establish or restore governmental institutions and functions. To support this effort, the Army Reserve trains cultural experts to coordinate with local populations. In times of peace as well as times of crisis and conflict, Army Reserve Soldiers support Military Support Operations. Psychological Operations Specialists assist foreign governments, militaries and civilian populations. They analyze, develop and distribute information designed to positively influence the attitudes and behavior of foreign populations in a manner favorable to friendly forces. Interested in switching from Active Duty to the Army Reserve? Find information on benefits, forms, and a step by step process on how to make the transition. Take advantage of the greatest benefits the Army Reserve has ever offered: $20,000 in bonuses, money for college and low-cost health care. 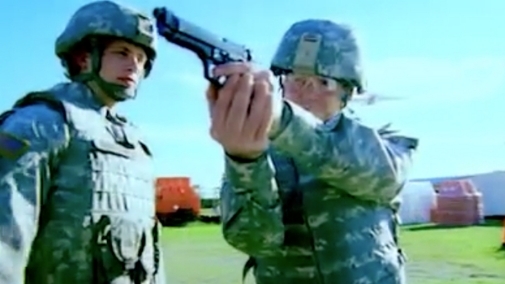 The Army Reserve has more jobs-in more fields-than you would ever expect. Get information about more than 120 Military Occupational Specialties (MOSs). Meet Army Reserve Soldiers who balance civilian and Soldier life while standing ready to defend our country. What is the U.S. Army Reserve? Discover the U.S. Army Reserve. Learn about the different ways your children can serve, the benefits, the careers offered, and watch the video of Sgt. Acosta showing what life is like in the Army Reserve. ¿Qué es el U.S. Army Reserve?